Tell us about what you do- your mothering situation and your work outside of that. Hello, I’m Gemma and I’m Mum to 3 little people who are 6, 4 & 20 months. I also run a small creative business with my Mum, Shirley, called The Seashack. We sell a range of our own artwork and paper goods, designed to inspire, provoke thought and encourage other women. I worked in London in various admin roles before settling as a PA in Marketing. Returning to my role in London 5 days per week didn’t feel like a viable option and I had the chance to take voluntary redundancy with my employer. So I went for it! 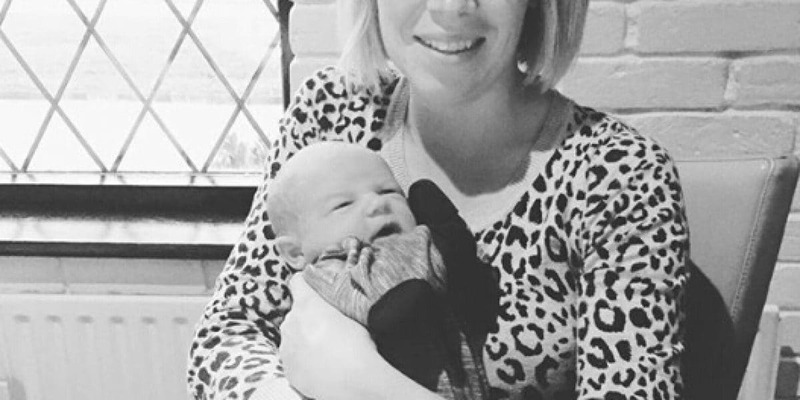 I loved being at home with my Son but I found the first year of Motherhood totally consuming and I realised that I needed a balance; which meant having something for myself as well. Mum and I had talked about joining forces and becoming self employed so we took the plunge! We decided to combine our creativity and love for anything uplifting and see if we could do something to encourage and inspire others too. My biggest drive is my love of what I do. Many times over the past couple of years we’ve considered giving up. We’ve wondered if life would just be simpler without running a business on top of everything else! But we always come back to what we love to do. Without creativity I feel lost and every time we hand letter a quote or create a new piece with meaningful words, those words sink in a little more and inspire me to keep going. My biggest personal challenge is probably focus or decision making. I’d love to blame being busy with my 3 children but I always believe there is a way to find time for everything you love. Efficiency is what I struggle with – in fact we both do – and it’s an ongoing battle! I am most proud of the fact we have kept going, through all sorts of challenges and we have grown so much along the way. I am proud of the balance I’ve worked to achieve between work and family life. In around 3.5 years my youngest will start school (sob!) and that is when I can see me being able to dedicate more time to our business. It’s scarily close which I why I want to dedicate as much time as possible to enjoying the children while they are little. I would love us to continue to collaborate & connect with others, grow our social media following and carry on encouraging and uplifting others through our work. The big dream is to have our very own Seashack – a premises for our work and shop for our designs. And a place that others can come to feel inspired. If I could tell myself anything I’d say please don’t compare yourself – or your baby – to others. I’d tell myself he’s perfect as he is and that I am enough. And that every moment, whether challenging or lovely, is just that – a moment. Hindsight it a wonderful thing but I’m just grateful I started to realise these things not too far in to my parenting journey. To be honest I try to just stop. I slow down and I try to drop whatever I can so that I can simplify things. The perfectionist in me feels like this is a bit like starting again! I like to read anything motivational to get me back on track or chat to Mum for some reassurance or manpower with the children! Drinking lots of water, making sure I’m eating well and in an ideal world, exercising (which doesn’t happen often enough), is always a winner too. Do It Like A Mother supports women via hypnobirthing, postnatal support, and mama merch that does good work. Our core values are HONESTY, EMPOWERMENT, COMMUNITY. Our courses take place in Southend and Upminster, Essex. Our merch makes its way all over the UK.